Tennessee Medical Center based on the demand of the medical staff for a fair and equitable physician ownership model. Hospital leadership was concerned with keeping physicians on campus, as opposed to developing competing facilities surrounding the campus in an already heavily saturated market. The anchor physician group tenant in this project had invested in an off-campus parcel with plans to develop a building for their own purposes. Other groups were negotiating to acquire another medical office building on the campus. Johnson Development’s flexible ownership model was critical in convincing a critical mass of those groups to come together in a multi-tenanted building. Our ability to hold these diverse groups together over an 18 month pre-development period was critical in getting this project to reach both the economic feasibility and sizing required by hospital leadership to utilize the last remaining parcel attached to the new hospital. Johnson Development is serving as developer and will continue to serve as the property manager upon completion of the project. 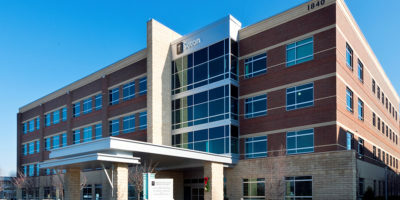 Additionally, Johnson Development is serving as the managing member which is majority owned by over 30 physicians.